Midwest Throw was inspired by a knitter at Stitches Midwest who was looking for an easy and special decorator throw for her daughter. 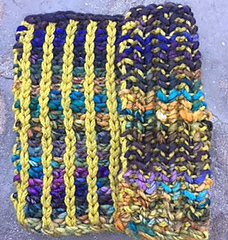 The single-row striped, half-brioche stitch used in my Ostrom cowls was the perfect pattern stitch. This is extremely easy to knit and the result is a lovely two-sided fabric with obvious stripes on one side and multi-colors on the other side. Needles: US #13 at least 32” long. 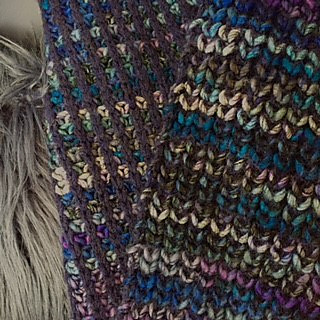 Gauge: 2.5 sts/in and 4.8 rows/in on #13 in half brioche stitch after wet blocking.